Two different college students who have similar interests, backgrounds and experiences can be completely different. One could say they're studying to be an electrical engineer at some swanky Ivy League university like Yale or Princeton, per se. The other could be a super senior who’s still not entirely sure what their major is, yet both are said to be receiving a college education. College shows a great spectrum in what a student experiences. The collegiate experience, of course, is what you make it. If someone is extremely dedicated to their academics, they are bound to receive a higher quality education than a student who hardly shows up to class because they are taking the initiative to get all they can out of their education. However, this situation becomes problematic because it lowers the academic standards for public universities as a whole when such a great portion of its student populace doesn’t take their education seriously. The fact of the matter is college acceptance is far too easy; if you have a pulse, you can get into college. In China, for example, students aspiring to enroll in universities must take an entrance exam; they prepare for most of their high school years for the important test. This assures that the students who do go to college are academically motivated and far less likely to drop out after two or three years. This doesn’t signify that China’s national education system far exceeds our own by any means. Plenty of Chinese exchange students consider it a great privilege to come to America to study. However, the overall standards could be higher if students had a greater appreciation for their education. The current educational system practically guarantees that students will graduate with at least some debt. In 2010, the typical college graduate had acquired a debt of $25,250, according to The New York Times. Even merit scholarship recipients are not in the clear; while they are told that their scholarship amount will not change, tuition can rise and they either have to take out student loans, get a job, or petition their parents for funds. Because of this, 70-80 percent of college students work while in school, according to the American Council on Education Center for Policy Analysis. While having a job is an excellent way to develop responsibility and time management skills, it often prevents students from fully immersing themselves in their studies. Furthermore, approximately 25-33 percent of these students are working full-time, which can have a negative impact on their ability to produce the quality of work they are capable of, both in their jobs and in their schoolwork. If there were to be some kind of more rigorous standard college entrance exam, academic standards could be raised and student debt could potentially be eliminated. The government would be able to give out more financial aid since there would be fewer, more deserving candidates. Ultimately, though, the quality of education depends on the individual student’s work ethic and passion. 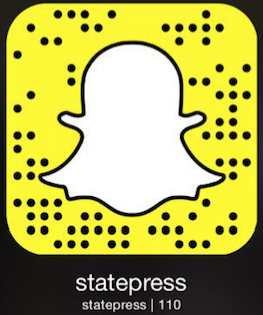 Contact Julie at: Julianna.Roberts@asu.edu Click here to subscribe to the daily State Press newsletter.